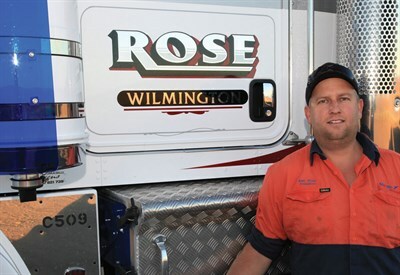 When fuel supplier Mogas got in touch with Ben Rose in 2011 to offer him a gig as a sub-contractor, it was almost a given he would take it. At the time, he was operating a road train in a mine near Coober Pedy in South Australia but did not like the fly in, fly out lifestyle that came with it. Besides, Ben already knew what he was letting himself in for. "I had previously driven for a Mogas subby for years, therefore [I] knew the job inside out," Ben says. "So when Mogas called, I was ready to get back on the road." Mogas supplies to the majority of South Australia, going to both northern corners of the state and beyond — Cameron Corner to the east and out to the Giles Weather Station to the west. 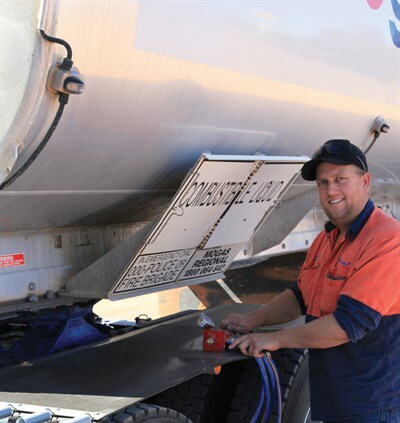 Ben, who delivers fuel to stations, roadhouses, power stations and mines in outback SA, wouldn’t have it any other way. If he had a choice between bustling traffic of the city or quiet dirt roads, his response is quick "Give me the Outback any day." "I don’t think there are any dirt roads north of Port Augusta that we don’t travel on. It is a great lifestyle," he says. "It is probably one of the last frontiers, heading north of Port Augusta. It is getting busier up here with new mines opening up but once you head east or west off the Stuart Highway, it gets pretty quiet." Ben started driving trucks at a cattle station in the Territory about nine years ago. He then moved down south and bought property near Quorn. He’s been driving trucks in the north of SA since. 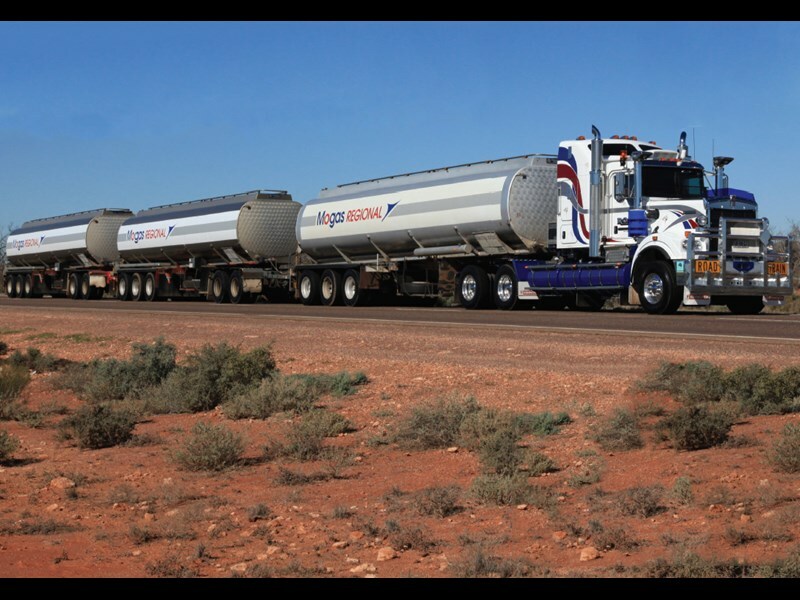 Ben’s immediate need once he started working with Mogas was getting his hands on a prime mover with pumping gear. He had driven Macks previously but this times was able to buy a Kenworth T904. He got 140,000km out of it before he jumped into a C509. "I will stick with Kenworth, I think it’s the only way to go now for the dirt," Ben explains. The C509 cost him a cool $400,000, but he expects to get 1 million kilometres out of it before he needs to worry about a new truck. The Kenworth C509 is a highly specced vehicle. By the time you get the pumping gear on, microwaves, dunnage rack and fridge freezers, Ben is completely self-sufficient once he leaves the Mogas depot. The one thing it doesn’t have is a television, not that Ben minds. Even if he did, Mogas trucks rarely pull into towns so television reception is not good. "I had one in the Mack I drove. I spent that much time and money buying DVDs and they all ended up getting scratched," Ben recalls. He now listens to audio books, which he says keeps him awake and alert. "I have got over 100 of them. They are great." One of the only drawbacks of the C509 is the absence of an integrated sleeper, with Ben saying he hits his head every time he gets into bed. "It does seem a lot tighter and firmer in the cab than the old one, but after all the 904 had done 2 million kilometres," he says. "I have driven Macks and Western Stars and this is the easiest to drive … You know you’re driving a truck, not like these European ones that feel like you’re driving a coach." Ben says Mogas sub-contractors need to operate a prime mover that weighs less than 13 tonne, which is why he leant toward the Kenworth. "They come in at under 13 tonne fully specced, while the Western Star is close to 14 tonne — it is getting too heavy," he says. "Thirteen tonne is the cut-off point because the fuel-carrying capacity decreases too much with the increase in prime mover weight. Each tonne of extra prime mover weight equates to 130 litres less diesel that I can carry, and that soon adds up." A lot of thought went into the Kenworth’s paint scheme, with Ben trying to match the trailers without it looking like a Mogas truck. "We went through a few boxes of crayons to come up with that. It was a hard job but I am happy with it," he smiles. Mogas believes in finding good sub-contractors that look after their own equipment, knowing that the gear they are pulling will be looked after well. "They are very good to work for," Ben says. "As far as schedules, they leave you alone as long as you don’t bugger around. They supply our fuel so we don’t have to change our rates every time the fuel price goes through the roof, so we are well looked after. "We are a ‘captured vehicle’ so we come under Mogas’ maintenance scheme so we get all the maintenance service and repairs done and filled out. 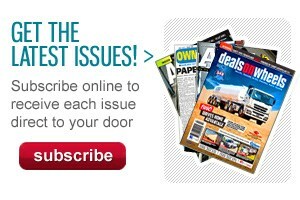 Any new regulations or procedures and it’s in our pigeon holes." Ben is required to complete his business activity statement (BAS) and that is about all the paperwork he does. He doesn’t have to chase people for money as the cheque from Mogas is there every month. At the mines, Ben is able to do his own unloading of fuel but he must have all the appropriate licences and inductions. "Safety is very important — critical in our work. Common sense is paramount [and] making sure your equipment is up to scratch," he says. Ben gets to Adelaide once or twice a month, which is handy to get parts and warranty work done. "Besides that, I hate the place," he says. "I would much rather be out in the middle. I used to cart cattle in the top end and love the bush." Find Kenworth C509 trucks for sale. 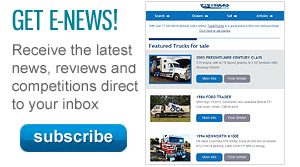 Search for new Kenworth C509 specs.